Each fall, as the trees undergo their transformation and the fields are ripe with bounty, I observe them, entranced as the pastures entice me to come closer and experience their sites, sounds and smells. My fascination with country farms leads me to meander along rural roads, camera in hand, searching for peaceful moments that can only be experienced, not explained. 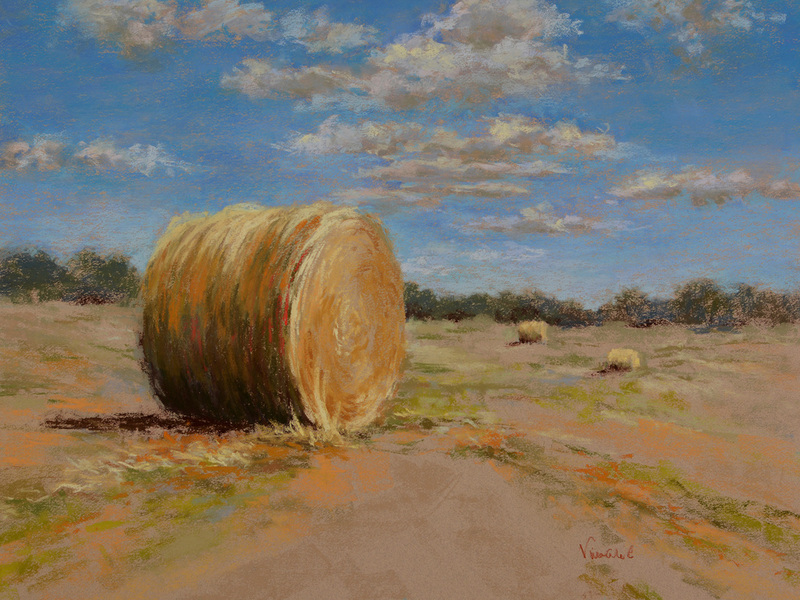 The warm sunlight cast onto large rolls of hay intrigues me with its bountiful color and causes me to linger. These are the moments I paint. They make me thankful for the opportunity to live, love and create.